On the basis of a collaboration agreement established with University and Nairobi and Roboptics Srl, N.P.C. 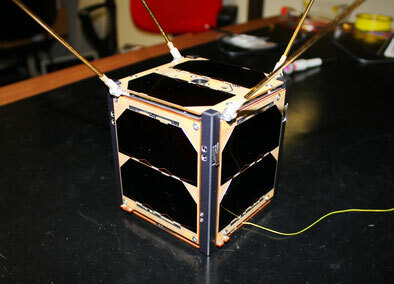 Spacemind supported the development of the first Kenya satellite, the 1U cubesat 1KUNS-PF, developed by a team of students at University of Nairobi, with the participation of students from University of Rome “La Sapienza”. Spacemind team gave significant contribution, providing on-board satellite hardware and making its own facilities and expertise available for satellite integration. The project, supported also by the Kenya Space Ageny and the Italian Space Agency (ASI), has been selected as the first beneficiary of the “KiboCube” program, established by the UNOOSA and JAXA. The satellite was successfully handed-over at the Tsukuba Space Center in January 2018, thus launched to the ISS and deployed in orbit from the Kibo module. After the launch of ARTICA in June 2017, 1KUNS brings Spacemind in space again.